Geochemists have identified a mysterious space rock found in Sweden, and believe it’s a type of meteorite never before seen on Earth. They published their report in the journal Nature Communications. Around 470 million years ago, two objects collided above our planet, raining debris across the surface of the globe. We’re very familiar with one of those objects: it was the original source of L-chondrites, the most common type of meteorite. But the identity of the other object remained a mystery. Much of the detritus from that mid-air collision landed and embedded itself in what is today a Swedish limestone quarry. Quarry workers recovered the first two pieces in 1993. After that, researchers undertook a systematic search, eventually uncovering more than 100 meteorites. All but one of those were L-chondrites. The remaining rock was an object of fascination from the start. To find out its age and origin story, researchers scraped tiny samples and analyzed the molecules within. 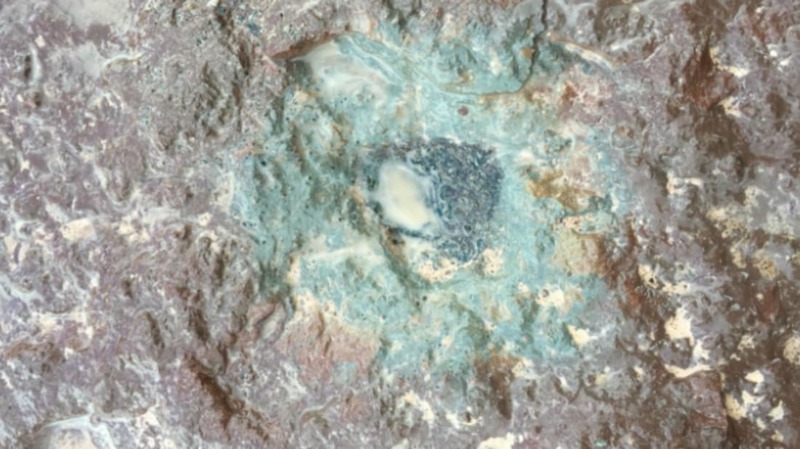 They found that the rock’s chemical makeup was completely unique … and, like the common meteorites around it, the rock was just about 470 million years old. Here, the authors believe, they have found at least some of the remains of that mysterious object. They named the new meteorite Österplana 065, or Ö65 for short, after the location where it was found. A prehistoric storm of space rocks like the one that delivered Ö65 would have reshaped the very surface of the planet, potentially creating new habitats and environmental niches where organisms could evolve.